This is a safety-sensitive position, exercising a high degree of discretion, trust, and confidence. The function of this position is to respond to crime scenes to conduct forensic investigations. Forensic investigations require the use of many different evidence recording, collecting and examination techniques including photography, physical and chemical enhancement of impressions (e.g. latent, patent and plastic impressions; shoe impressions and bloodstains) casting shoe impressions and tool marks. These techniques may be conducted in the field on large immovable items or in the controlled environment of a laboratory for smaller transportable items. On occasions, a scene reconstruction may be conducted and/or 3-dimensional scene diagram . In addition, the position encompasses recording and securing property and evidence as established under law, policy and procedure, and municipal ordinance. All crime scene functions and duties will be for the Town of Parker and Lone Tree Police Department, through an Intergovernmental Agreement (IGA). Works under the direction of the Crime Scene and Evidence Manager. May receive indirect supervision from Command staff in the absence of the Crime Scene and Evidence Manager. Performs lead crime scene work and assists in the training of entry level Crime Scene Investigators. Processes complex crime scenes independently and in critical response teams to locate, document, collect, preserve, and analyze evidence. Provides advanced documentation of crime scene to include written notes, to scale photography, video, measurements, and sketching. Provides advanced crime scene analysis such as chemical processing, shooting reconstruction, creating scene diagrams, and bloodstain pattern analysis. Ability to conduct presumptive and latent field tests for biological evidence. Conducts processing of evidence in the laboratory using l powders, chemicals, forensic light sources, and various camera lenses and filters in order to develop and preserve evidence. Ability to photograph and cast impression evidence. Maintains proper chain of custody on evidence and proper packaging to preserve and prevent contamination. Assists detectives and officers in the collection and preservation of evidence. Experience in testifying in criminal court as an expert witness. Attends autopsies to document injuries and collect evidence. Prepares technical departmental reports of crime scene investigations and laboratory casework. Provides training, education and mentoring to Property and Evidence Technicians, Police Officers and crime scene investigators on crime scene investigations as needed. Prepares and participates in structured training programs and acts as a lead trainer for Crime Scene Investigations and Evidence handling. Demonstrates the use of a Digital SLR camera to document evidence, to include skills in nighttime photography and manipulation of settings for ideal exposure. Participates in community relation events. Completes requests for reproduction of evidence, testing of evidence, and transporting evidence to other forensic laboratories for advanced testing not conducted at the Parker Police Department. Performs property and evidence custodial duties; maintains responsibility and security for all property and evidence in all cases. Maintains and documents the chain of custody for the property and evidence function. Performs the receipt, booking, storage and disposition of all items of property and evidence received that may be deemed as involved in criminal activity or found in the Town. Responsible for the proper disposition of property and evidence. Tracks cases and statute of limitations so that property and evidence may be purged efficiently. Follows department and judicial district procedures and guidelines for the disposition of property. Follows all applicable laws in the maintenance and disposition of property and evidence. Identifies and reports discrepancies in order to reconcile differences or errors in a timely manner. Maintains records of all evidence. Completes necessary documentation to include the completion of log sheets, forms and other reporting requirements on all property and evidence items. Responsible for maintaining an accurate inventory of property and evidence. Procures property and evidence supplies and related forms. Inventories property, evidence and laboratory processing supplies. Stocks all property, evidence and laboratory processing supplies. Orders property, evidence and laboratory processing supplies as needed or directed. Maintains facilities and equipment in a safe, sanitary and orderly manner. 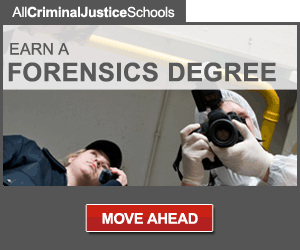 Bachelor's Degree in Criminal Justice or related field and four (4) years of increasingly responsible related experience or a minimum of eight (8) years of experience as a Crime Scene Technician or similar field if no degree is possessed. . A combination of education and experience to provide for the following knowledge, skills and abilities may be considered. Ability to obtain the IAI certification within one (1) year after being hired if that certification (or higher) is not already held. Knowledge of property and evidence handling, storage, and security. Skill in latent processing, evidence collection, crime scene photography, and other crime scene duties. Knowledge of photographic equipment and other crime scene processes. 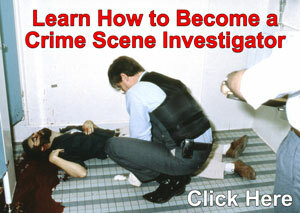 Skill in identifying crime scene evidence. Knowledge of up-to-date office practices and procedures. Knowledge of computers and electronic data processing. Ability to meet and deal effectively with citizens, coworkers, officials and others through written and verbal communication. Ability to work effectively and exercise discretion in stressful or emergency situations. Ability to learn the Town's geography and street system, and use that knowledge in daily work activities and tasks. Ability to maintain an on-call status as needed for coverage for both the Town of Parker and City of Lone Tree. Ability to successfully complete a Police Department background check including but not limited to: criminal search, Psychological exam, Polygraph test, physical agility exam, drug screen, etc. Personal computer, word processing software, database software, custom records software, bar-code readers, copy machine, fax machine, telephone, communications radio, custom reporting software, cameras, video recording equipment, evidence collection equipment, motor vehicles, crime scene trailer, tools, ladders, drawing tools, evidence processing chemicals and substances, and cellular phone. While performing the duties of this job, the employee is regularly required to stand or sit, walk, use hands, fingers, handle, feel or operate objects, tools or controls, reach with hands and arms and talk or hear. The employee is occasionally required to climb or balance, stoop, kneel, crouch or crawl. The employee is periodically required to carry, pull, push or lift up to 40 pounds. Specific vision abilities required by this job include close and distance vision acuity, peripheral vision, depth perception and the ability to adjust his or her focus, allowing a broad field of vision. Also, have the ability to operate a vehicle. Communicate clearly and effectively; must understand and be understood. The work environment characteristics described here are representative of those an employee encounters while performing the essential functions of this job. Reasonable accommodations may be made to enable individuals with disabilities to perform the essential function. While performing the duties of this job, the employee occasionally works in outside conditions. The employee is occasionally exposed to wet and/or humid conditions, hot and/or cold conditions, or airborne particles. The noise level in the work environment is usually quiet in the office and may range from moderate to extreme in the field. May be subject to contact with articles that require universal precautions as related to infectious disease. Contact with chemicals and weapons, in variety of settings from the office, to the street, to burned or exploded buildings and/or to scenes of criminal activity. Position may be on-call twenty-four (24) hours a day, resulting in being called out to assist with crime scene investigations for the Parker Police Department, Lone Tree Police Department, and the 18th Judicial District's Critical Response Teams required for the collection and inventory of evidence. The job description does not constitute an employment agreement between the employer and the employee, and is subject to change by the employer as the needs of the employer and requirements of the job change.